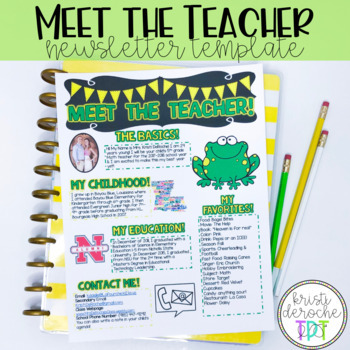 Looking for a cute newsletter you can hand out during open house or on the first day of school for your students and parents to get to know you??? This completely editable newsletter is what you need!! Customize the headers and the bodies of text! I put my information in there as an example but be free to change the cliparts and wordings to make it your own! The words "Meet the Teacher cannot be edited. Links are provided to download the fonts used in this product. If you are looking for a different color scheme, please do not hesitate to contact me! Download the preview and ENJOY! !